Home → CMO Manifesto → Why Your Content Marketing on Social Media isn’t working! Why Your Content Marketing on Social Media isn’t working! Content on Social Media is meant to be shared. 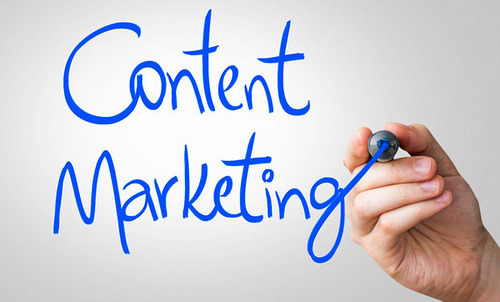 That is how content marketing works on this platform. It gives your brand more exposure – to different kinds of people – and increases your “value” in their eyes. But there are times when content – regardless of however good it is – does not get shared! Visuals are very important when it comes to content – be it video or an image. People tend to see and therefore share visual content. So if your article or blog is just large chunks of text, chances are, people are going to give it a miss. If your headline is not compelling enough, readers would just gloss over your post and go to the next one! Interesting and attention-grabbing headlines make people want to click to read more. Experts tell us to include some action-based word in it! Also don’t make it too long! It needs to be concise and entice the reader into wanting to know more! If it is too short, it would appear that there is not enough meat / enough depth to your article. If it is too long, it wouldn’t work either. The best length is between 1000 and 1500 words. But regardless of the word count, what matters is the quality of the content that you put up. That will definitely get shared! And then there is the most obvious reason – that the content that is put out there is not appealing. Your audience did not like it. And they did not think that their circle would be interested in that as well. So it just doesn’t get shared. Again – the way to better this is to know your audience well enough to know what they would be interested in. You might have written the best content ever – but it needs to be in a place of visibility to your target group. The problem with most blogs is that no one even know that they exist! So unless this is rectified, this kind of content will remain hidden from the world! Don’t just stop with writing a great blog – promote it. If you have posted a blog, please make sure you include some sharing buttons in it. This makes sharing easy and takes away the pain of copying the link and sharing it with others. If you want people to share your content, make sure that you make it easy for them to do so. So make sure there are share buttons – and those buttons are easy to spot and easy to use on your page! There are many facets to this whole thing – you need to first generate content that is great and which people would find useful and interesting. Content that begs to be shared. You need to engage with your customers establishing yourself as someone who is an expert and a thought-leader in your field of expertise. You need to connect with your audience and your customers and build relationships with them. And you need to make your content easy to share.